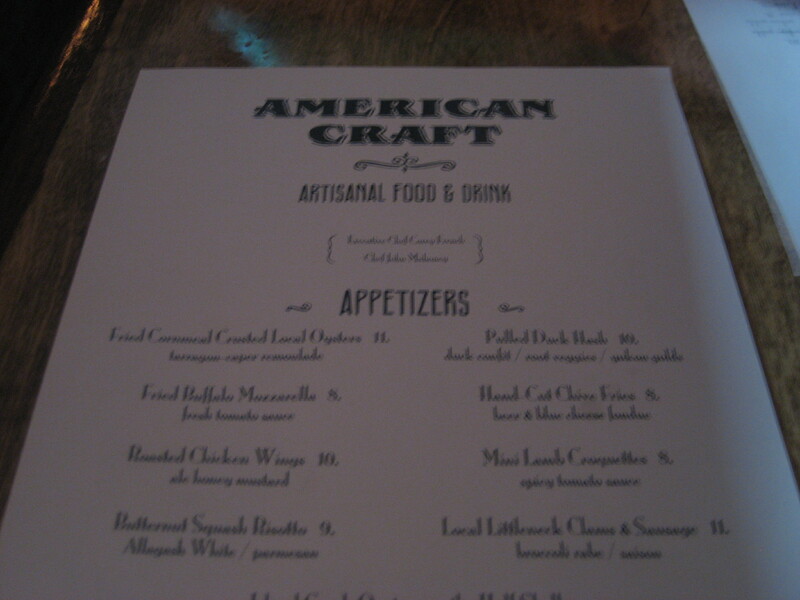 After coming home from the winery, we didn’t feel like cooking, so we headed over to Brookline to try out American Craft (same owners as The Publick House, which we love). 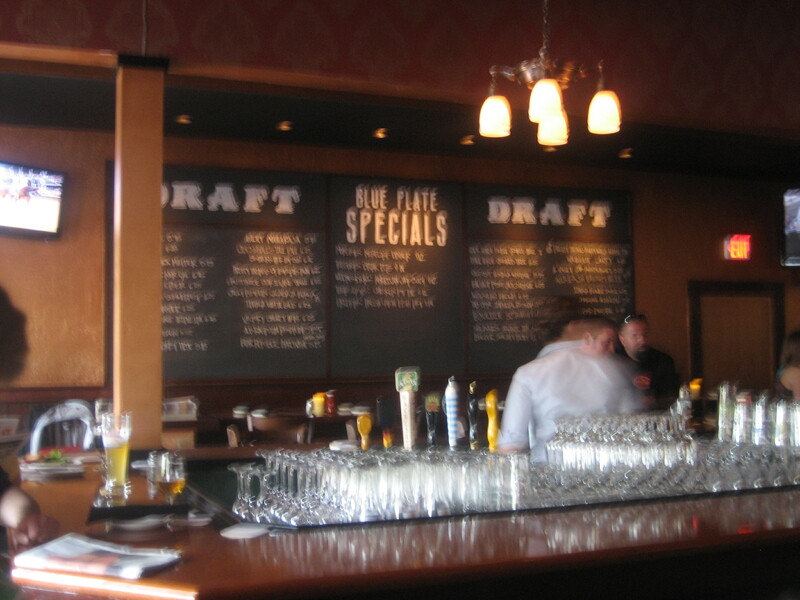 For a Saturday night, the restaurant was fairly dead. 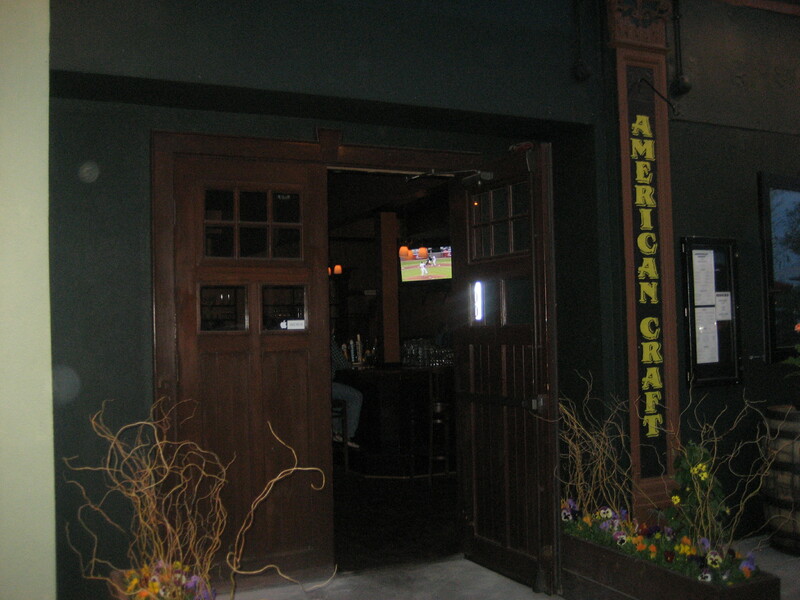 They have a great big bar inside, which seats at least 15 people and a lot of beer on tap. 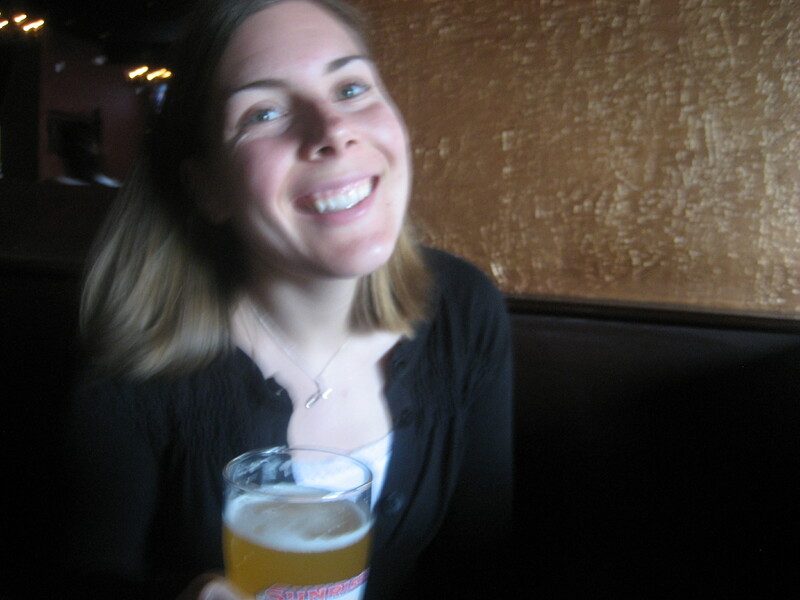 I decided on a Hefewizen called Sweaty Betty from Boulder, CO. It was just what I like. 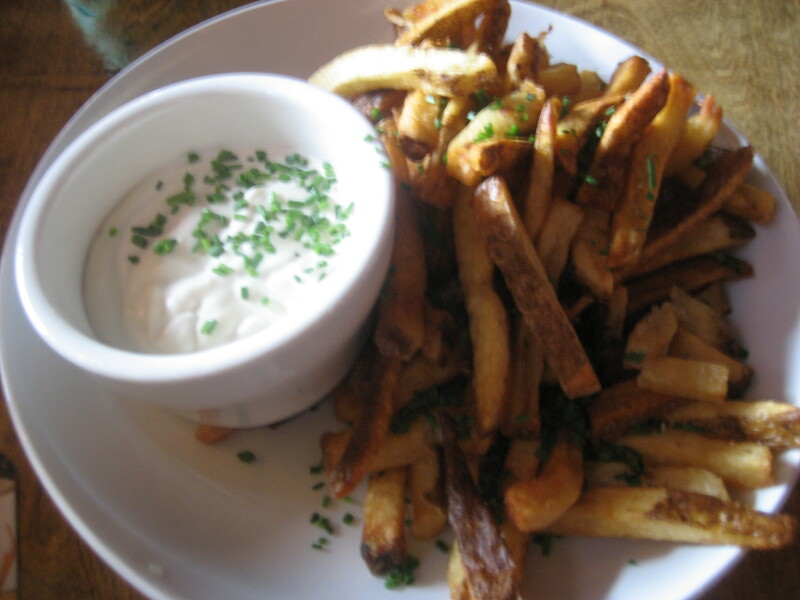 While watching the Kentucky Derby, we started with an appetizer of FRIES with Blue Cheese & Beer Dip. They were good! But, of course, I felt sick after eating them – which is why I never do. Ha! We did a good job at polishing off a good 3/4ths of these guys. The dinner menu looked great. A pretty big variety for American food. Everything from fish to chicken to lamb to a burger bar! 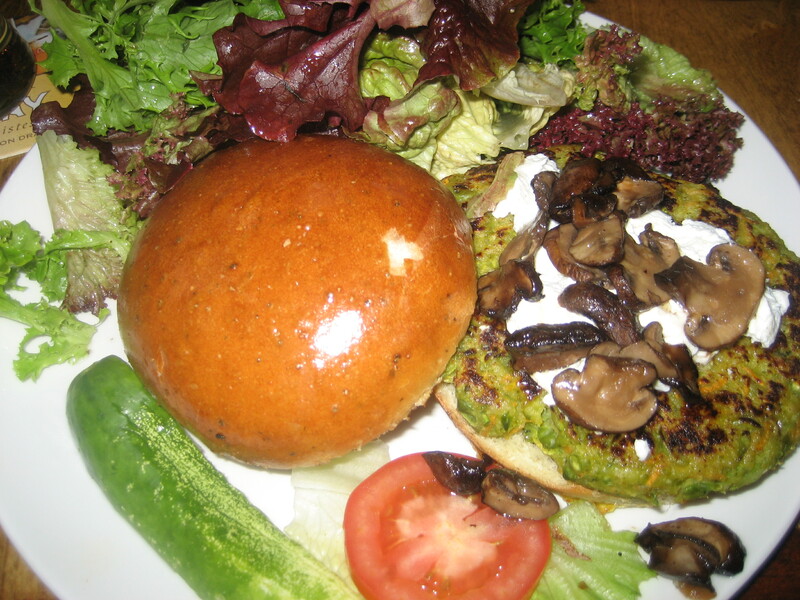 I opted for the Veggie Burger (which was homemade in house) with mushrooms and goat cheese. With mixed greens on the side, instead of fries! It was a really really good veggie burger and the bun was delicious! 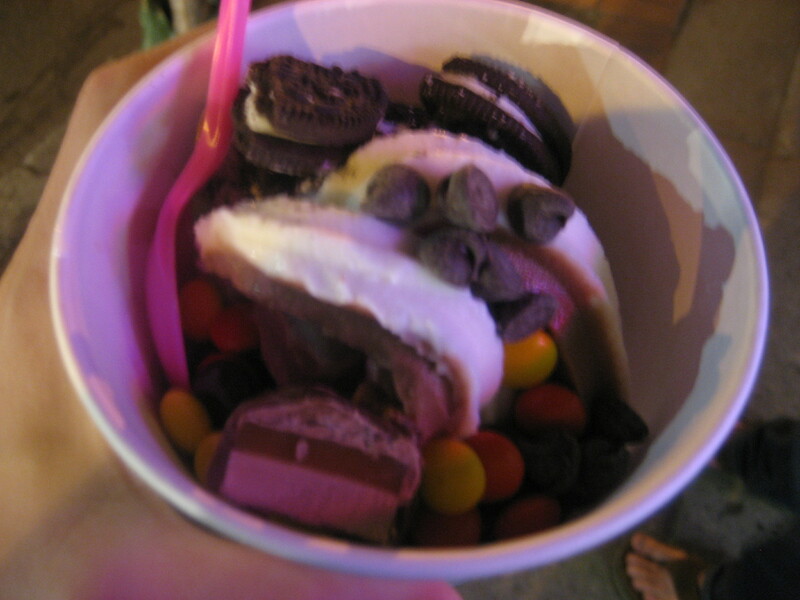 It was an awesome day, but I was stuffed! 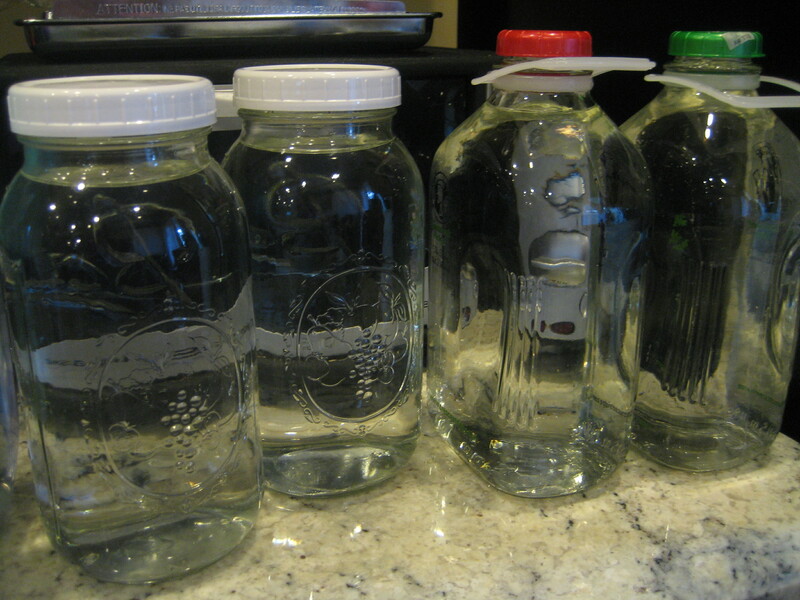 We came home to a boil-water ban that went into effect in Boston due to a water main break! 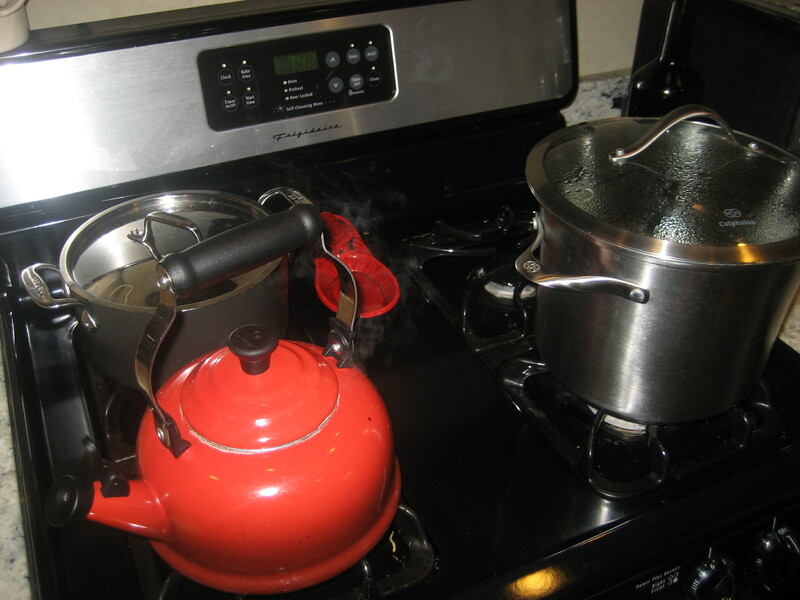 So, we boiled lots of water for drinking and cooking. 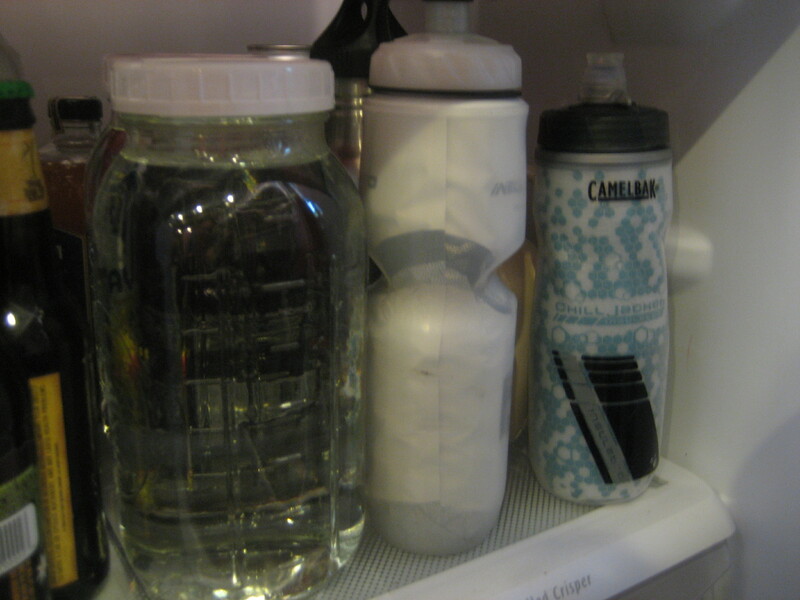 Our fridge is filled with bottles and jugs full of water! So much cheaper than purchasing bottles of water! having those fun days is a blessing, because they make you also look forward to the healthy ones!